Quick way to split and cut your MP3, M4A, AAC audio files visually. The ID tags will be preserved while splitting and the sound quality is just the same as the original audio files. The best music organizer & player This software is designed specifically as the family entertainment center.It is used to manage APE/FLAC/MP3/AAC/Video music contents and karaoke play lists. Please check the Help documents after installation for a more comprehensive list of features. User interface is very professionally done with ability to change the skin for your own taste. It is very easy to use and stable. It supports all major format including APE, FLAC, AAC, MP3, VOB, DAT, MPG, MKV, AVI, MP4, WMV, ASF, RM, RMVB, H264, FLV, 3GP, CDG. More media formats support can be added later with no need to purchase expensive hardware. This software supports input devices including computer mice, keyboards, remote controls and touch screen. The software now has great support for Karaoke DVD songs. Creation media database automatically. Have you ever wanted to free your iPod from iTunes? Have you ever wanted to take your iPod to your friends house and plug it into their PC and share your music collections? If the answer is Yes, then iDumpPro is the product for you. Based on the award winning iDump which has been featured in magazines all over the world, iDumpPro is the next level in utility for your iPod. Supported iPods Full import/export support for all iPods expect iTouch and iPhone. Built in Media centre: listen to all songs or playlists in sequence or random order. Backup and restore: so you can make a full backup of your iPod and all music files. When the backup completes, you can in future either restore using iDumpPro or by using a special restore program which is saved with the backup file. Exporting songs: Unlike most iPod export programs on the net, you can use iDumpPro to convert the exporting songs in to different music formats and even export the same format but change its bitrate to make songs smaller. All you do is set the path you want the files to be exported to, the format of the files and folder structure if required and then the export conversion which can be either No conversion,MP3,AAC,OGG,WMA and WAV Importing Songs: iDumpPro supports the ability to import music from the PC to the iPod and updates the iPod database with the new tracks. It can import iPod compatible file types. It has options to import single file, search folders or even import from iTunes. Stream server: iDumpPro can be used as a streaming MP3 server. Just drag and drop songs, arrange their play order and then start the service. Use Windows Media player on another machine on your network to listen to your music. Tenorshare Music Cleanup is a handy iTunes music and local music library cleanup program. You can remove duplicates music easily after it helps you to quickly and deeply scan out iTunes or local music library. Besides, it can automatically find and complete missing information like artist, genre and lyrics for music library. Certainly, you can edit music information manually. Tenorshare Music Cleanup for Mac is a handy iTunes music and local music library cleanup program. 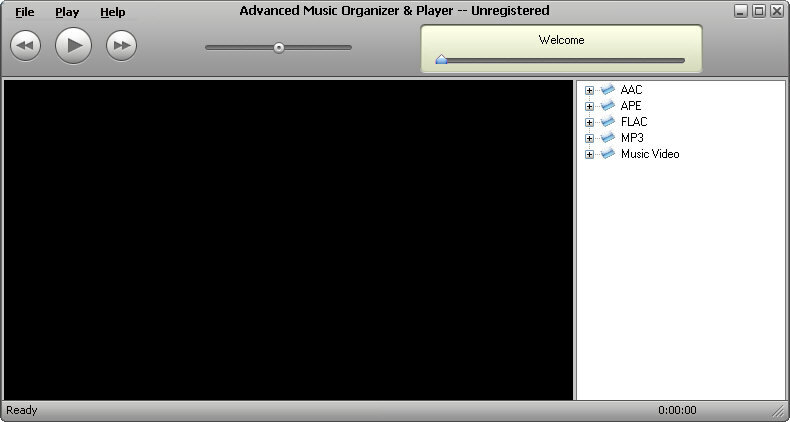 You can remove duplicates music easily after it helps you to quickly and deeply scan out iTunes or local music library. Besides, it can automatically find and complete missing information like artist, genre and lyrics for music library. Certainly, you can edit music information manually. Find and remove duplicate tracks in your iTunes Library quickly with Tune Sweeper. This powerful tool makes removing duplicate items in your iTunes library a breeze. Tune Sweeper shows groups of duplicate tracks found in your iTunes library and suggests which tracks to keep based on your preference. i.e. Highest Quality, Latest Played, Latest added etc. Tune Sweeper also shows all the tracks listed in iTunes that are missing from your hard drive. Tune Sweeper can quickly remove these broken links in your iTunes library with one mouse click. Using Tune Sweepers powerful search options, you can fine tune how Tune Sweeper scans your music collection. You can search the results for specific items in your Library. At a click of a button, Tune Sweeper removes the selected duplicates from iTunes, saving you disk space and cleaning up your music collection. Tracks removed from iTunes are optionally backed up for safe keeping. DJ Mixer Express for Windows is an easy to use DJ mixing software for beginners bedroom DJs, and DJ pros, It offers a robust set of features yet remains easy-to-use and affordable for a wide audience of music fans. DJ Mixer Express has an easy-to-use graphical interface that lets you automate common tasks like beat mixing, automatic-gain, master-tempo, record mixes, automatic beat and tempo detection allows you to easily match two songs for a perfect transition. Control your mix with sample-accurate cue points, or continuously loop part of a song perfectly in sync with the beat. seamlessly integrates with your iTunes, mix all your favorite songs, and videos from iTunes. Simply drag and drop, and get creative with your own music. DJ Mixer Express offers High-Quality sound with support for all major media formats including MP3, WAV, AIFF, AU, WMA, M4A, MP4, m4v, mpg, avi, flv, mov, mkv, wmv and karaoke files cdg+mp3, cdg+wav, cdg zip.